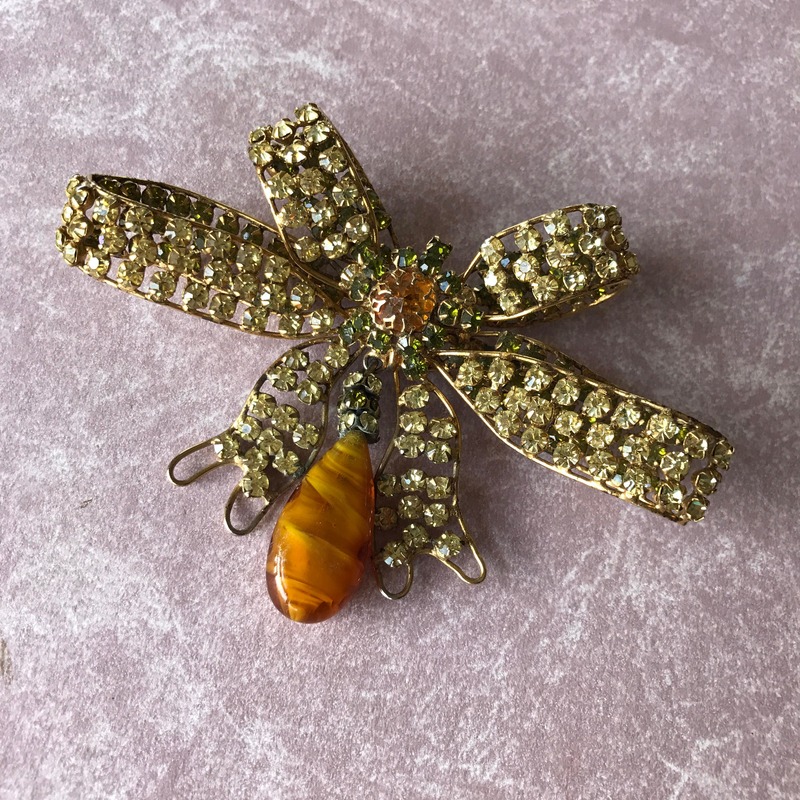 Wonderful Schreiner bow brooch with a beautiful art glass dangle. 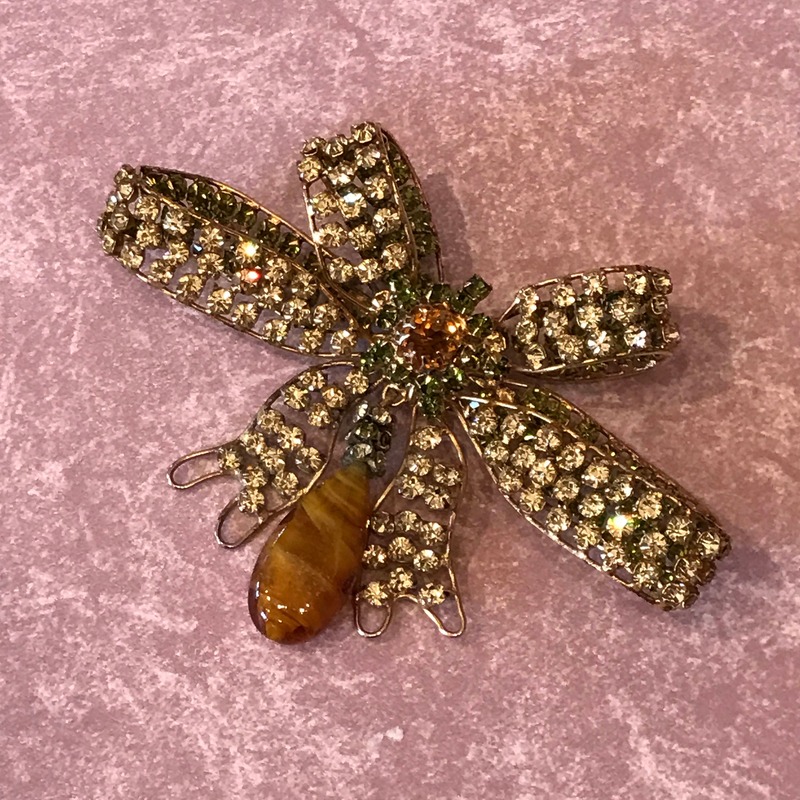 This brooch measures 4 inches wide and 3 inches tall. The outer loop of the bow is composed of jonquil colored stones, while the inside loop appears to be a peridot color. The central stone is inverted set with dogtooth prongs. 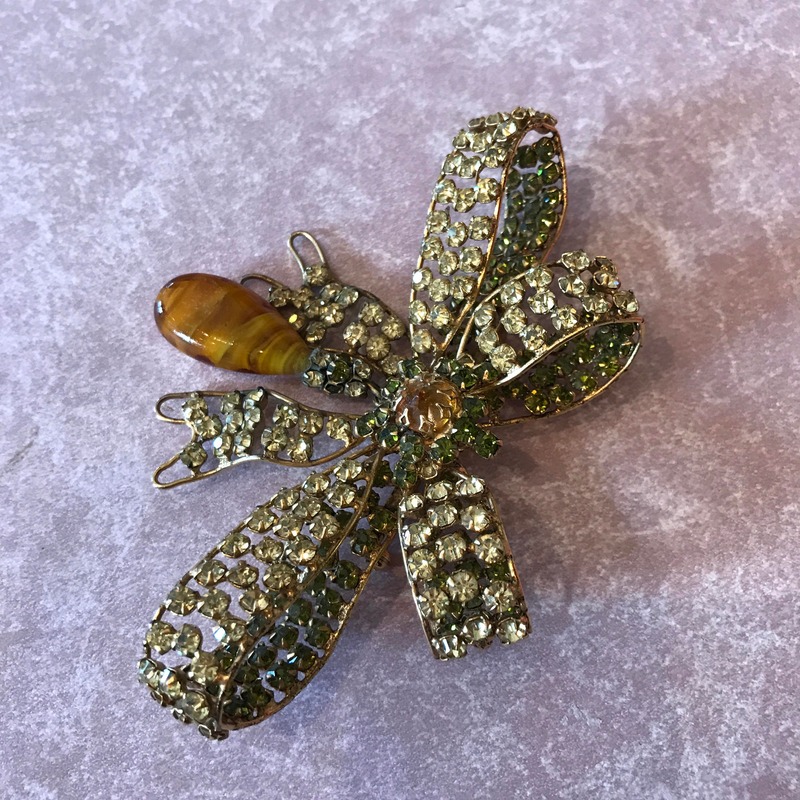 Although unsigned this brooch has been verified by Carole Tannebaum the author of the upcoming book on Schreiner. This type construction is earlier and more unusual. 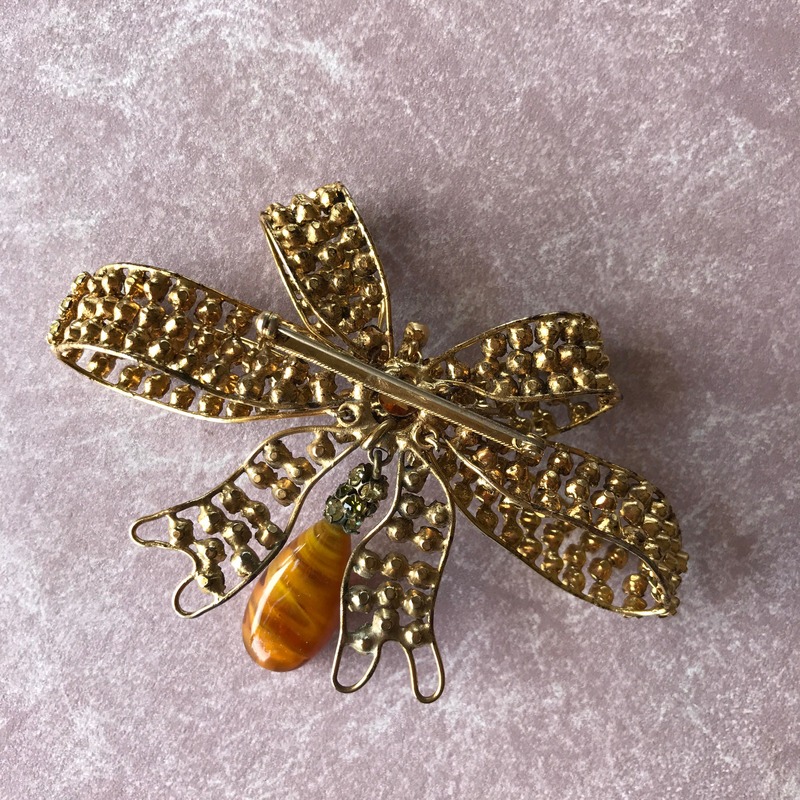 I have 2 Schreiner brooches with this construction, I will be listing the other one separately. Buy now, when the book comes out in November, the prices are destined to soar. This item will be shipped priority mail insured for full value. International buyers, shipping will be calculated and a custom order will be made, please contact me for international shipment.